From acclaimed author Patrice Lyle comes a brand new series... Dr. Piper Meadows heads to the Body, Mind & Spirit Expo expecting to solve health problems, not murder. But her first day starts off wrong when famous psychic Mystic Ming compares her hair to a “dung beetle’s nest” and tries to get her kicked out of the show. But Piper's bad-hair day gets worse when her Aunt Alfa gets in a public scuffle with Mystic Ming, where he accuses her of trying to poison him with her peanut oil-based essential oils. 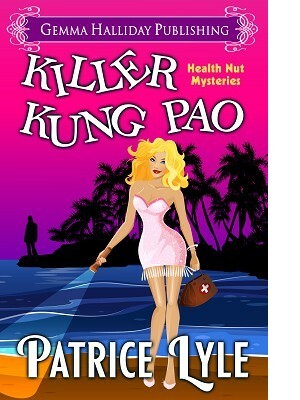 When Mystic Ming drops dead from his serving of killer kung pao laced with peanut oil, it's no surprise that Aunt Alfa is fingered as the prime suspect.